We are experts at custom fencing. We at Green Side Up Contracting use a 12” auger (10” on 4” x 4” posts) and we bore down 48” to 52” below grade and well below the frost line. 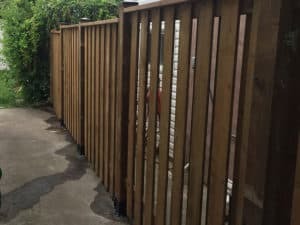 We pour the concrete to grade which prevents rainwater from sitting against the base of the wooden post, which can cause the post to rot. 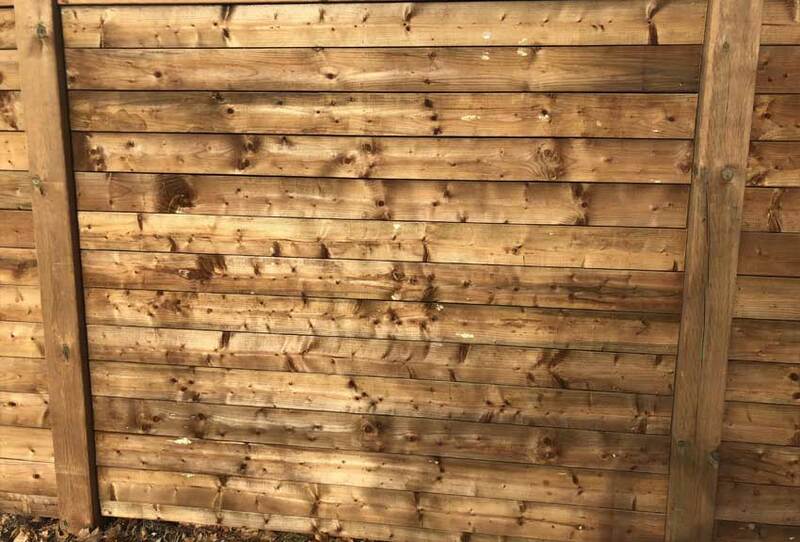 When it comes to the framing, we ALWAYS use screws (never nails) which keeps the frame from moving once the wood naturally dries out and wants to shrink or twist. 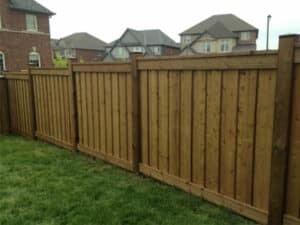 Regardless of the style of fence chosen, the boards are equally spaced out and final touches are added by installing trim around the perimeter. Black metal mid-range post caps are screwed to the top of the fence posts which adds a nice finishing touch. All gates come with a full metal gate kit to prevent sagging, and a metal self-latching latch. Jay came over to discuss the project scope and other projects on our wishlist; he's a great sounding board and very easy to work with. 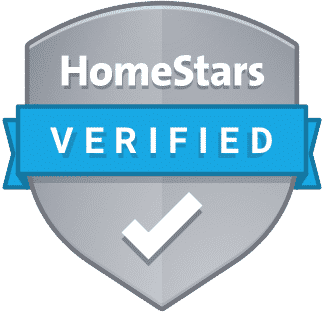 Thanks to all the rainy weather it took longer than expected to get the work done, but Tarah in Customer Care checked in with us regularly to update us on their schedule. When our turn came Zach completed the job quickly and efficiently - just a couple of days - and fully cleaned up after himself. Jay followed up a few days later, and quickly resolved a small issue we had due to warping wood. 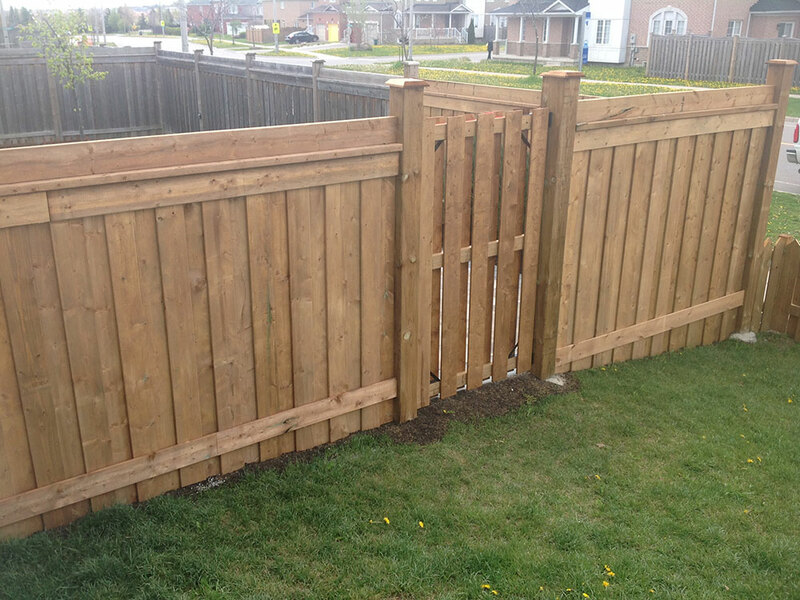 Overall the workmanship was excellent, and we're very satisfied with Green Side Up!